With two wins already under his belt, Peter Hickman heads into tomorrow’s Macau Grand Prix in pole position and favourite to take not only the race win but also complete his hat-trick after a blistering performance in final qualifying today. Having taken victories already in 2015 and 2016, Thursday’s opening day had seen the Louth-based rider top the opening qualifying session with a time of 2’25.429s, ahead of team-mate Michael Rutter and while it was the latter who set the initial pace on Friday morning, Hickman moved ahead halfway through the session. 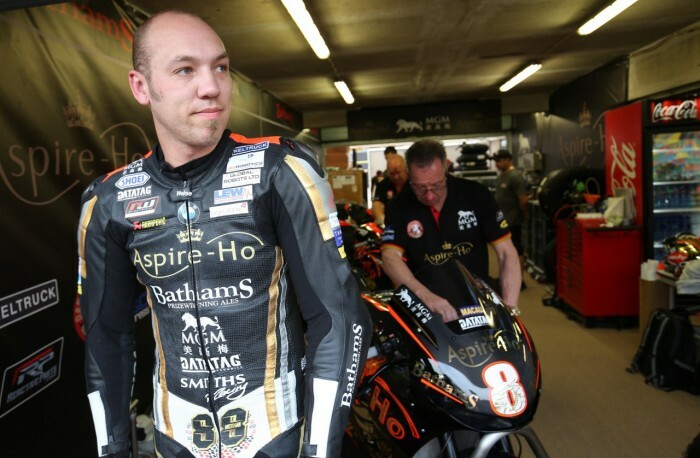 The Aspire-Ho by Bathams Racing rider put in a lap of 2m25.022s but near the end of the 45-minute session, the timing screens showed he was on a rapid lap with the fastest sector times all the way round the 3.8-mile circuit. Indeed, as a he flashed across the line, his lap of 2m23.904s on his BMW S1000RR was not only four tenths of a second quicker than he’d ever gone before but also just 0.288s outside Stuart Easton’s outright lap record which was set back in 2010. Rutter went quicker in the closing stages too but was still over a second adrift although with a 1-2 for the team, they’re more than hopeful of a repeat performance in Saturday’s 12-lap race.